Ever wanted to live in a home designed by a world-famous modern architect? 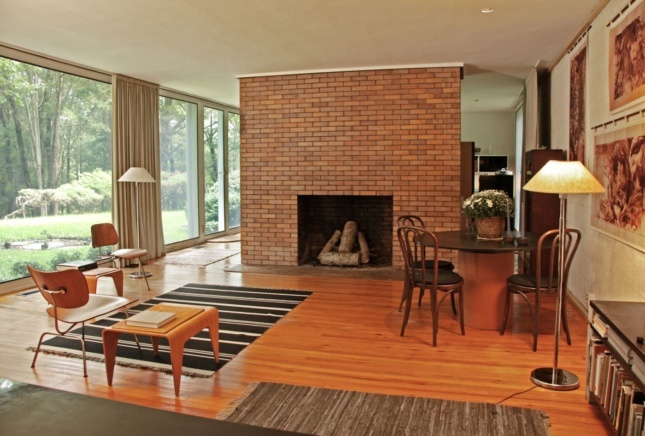 Well, here’s a chance: The owner of Philip Johnson’s first built commission is looking for a buyer, and fast. 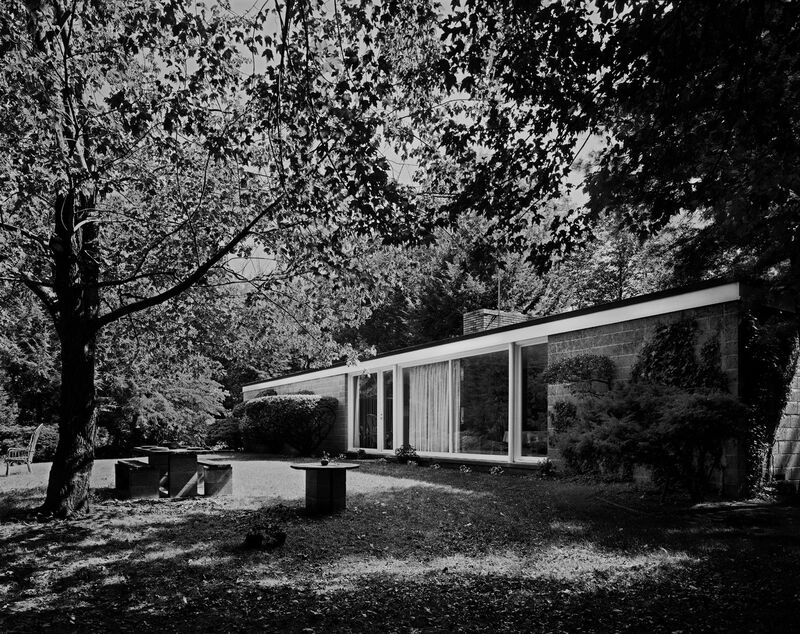 Johnson’s Booth House, built in 1946, predates the Glass House by three years and was the architect’s first built work (not counting his Harvard GSD thesis project). 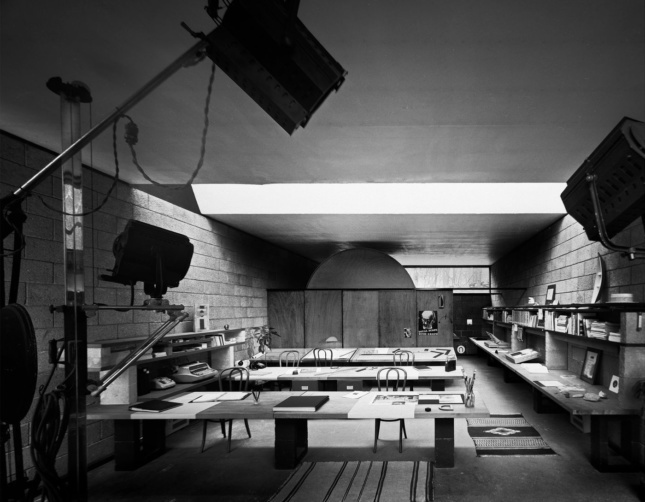 Like the Glass House, which Johnson designed for himself in New Canaan, Connecticut, the Booth House in rural Bedford, New York sits on a grassy podium, sports floor-to-ceiling glazing, and is organized internally around a commodious brick fireplace. The owners—architect Sirkka Damora and her husband, architectural photographer Robert Damora (1912–2009)—moved in as renters in 1955 and never left. After buying the house in the 1960s, they added almost 900 square feet of below-grade space to the 1,450-square-foot home, expanding the layout for a growing family without substantially altering Johnson’s design. The couple’s son, Matt Damora, has distinctive memories of growing up in what would become a seminal work of modern architecture. “It’s all I knew, but every friend that came by thought it was entirely weird,” he said. In a town defined by Colonial Revival homes with decorative entrances and functionless shutters, “they weren’t used to the idea of floor-to-ceiling glass, or open plan spaces—the lack of ornamentation, they didn’t know what to do with it.” Damora’s architect parents clearly felt differently, even building an 800-square-foot studio on the two-acre property that dialogued with Johnson’s design. Now 93, Sirkka is looking to sell the house, and soon. She wants “appreciative stewards” for her home of 62 years, according to a post Matt submitted to Docomomo, the modern architecture preservation association. There are a few complications, though: The title of the house is in litigation, which—depending on the outcome of the case—could jeopardize its very existence, Matt explained. Readers may recall that this is not the first time the house has been on the market: Back in 2010, the family tried to sell the home for $2 million, but the post-Recession market in Westchester County wasn’t strong enough to close a deal. This time, the home is back on the market for $1 million. With the house’s fate uncertain, Matt fears that a future developer could demolish the (small by today’s standards) home and build a McMansion or two on the property, which is adjacent to a developable lot. Considering the urgency of the family’s project, Matt has made his contact information available to the public in hopes of expediting a sale: He can be reached at r[dot]damora[at]verizon[dot]net or 718-230-8858.